Fall in Washington State may just be the best time to visit this jewel of the Pacific Northwest. Temperatures are mild, the winter rains have not yet begun, tourists are fewer, and there is plenty to see and do. Although Washington is known as the “Evergreen State” there are plenty of leafy trees just waiting to show off their coat of many colors. Maples, aspens, ash and larch are just a few of the species in the Pacific Northwest whose leaves change to rich yellows and golds, deep oranges and fiery reds. 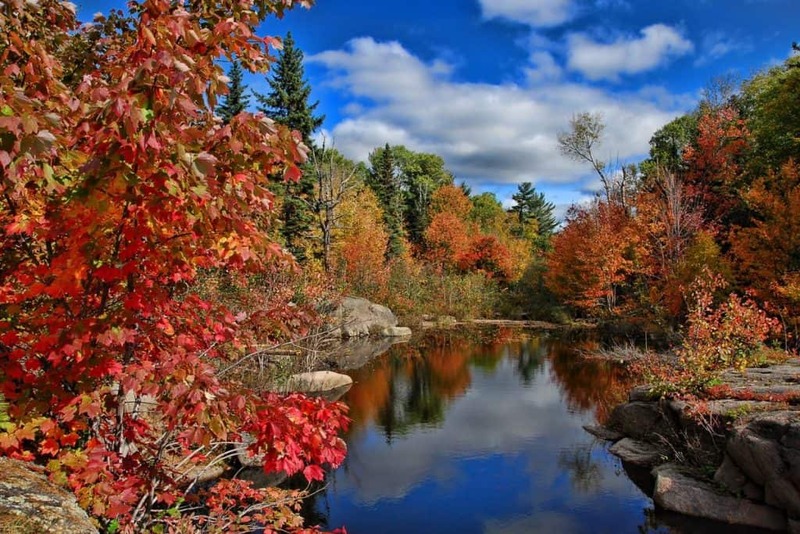 Scenic drives, park walks and hikes are abundant and are the best way to enjoy the fall colors in Washington State. Mount Rainier and Mount Baker-Snoqualmie National Parks are good choices. Leavenworth hosts the Autumn Leaf Festival and the Hoh Rainforest will have you believing in magical woodland creatures. There’s also Steven’s Pass Scenic Byway, Cascade Loop and Columbia River Gorge for full day excursions. Or stay close to Seattle and explore Washington Park Arboretum, Bellevue Botanical Garden or Kubota Garden to name just a few of the lovely parks around the city. Summer may be the busiest season for festivals in the Pacific Northwest but there are also quite a few fall-themed festivals and fairs in Washington State. 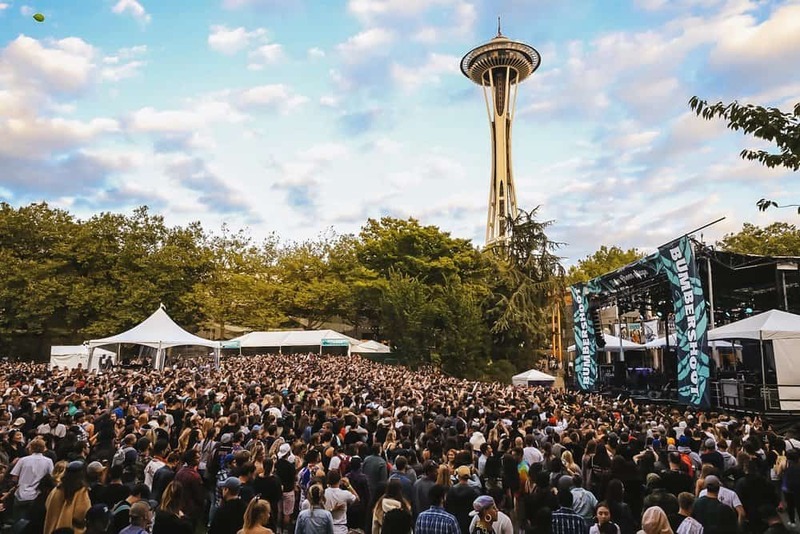 Washington fall festivals start with a bang with Bumbershoot, a fantastic music and arts festival held over the Labor Day long weekend at Seattle Center. Then “Do the Puyallup” at the Washington State Fair held the first three weeks of September. The Autumn Leaf Festival in Leavenworth celebrates fall with a parade, marching bands plus lots of fun activities, food and drink. The west coast is home to some of the best seafood in the world. Head to the Dungeness Crab and Seafood Festival in Port Angeles to fill your face and cheer for your favorite chowder chef at the annual cook-off. Hiking in Washington State is a year round activity but fall is a favorite time for many PNWers. The weather is cooler, the air is crisp and clear and the sight of vibrant fall colors against the rich evergreens is simply stunning. 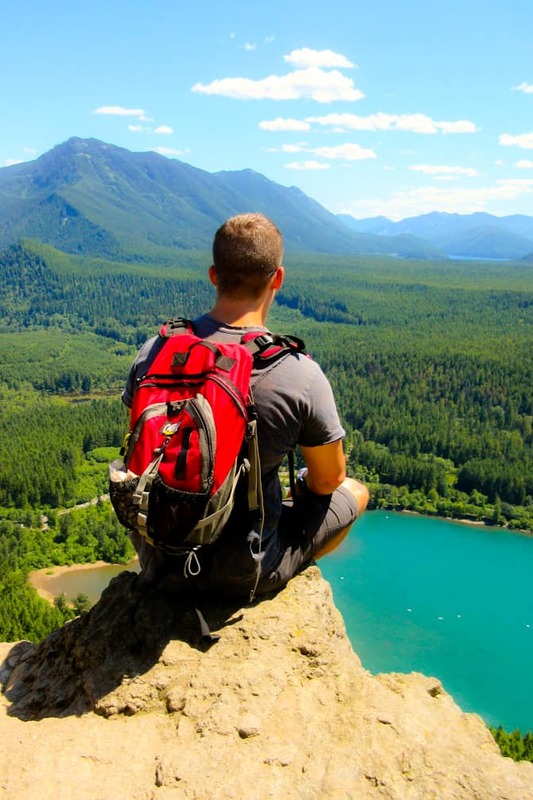 The list of Washington hikes is almost endless and there is something for every level. Be sure to go to the Washington Trails Association website to pick a hike that is suitable for you and also check out the conditions. Some fall favorites are: Rattlesnake Ledge for an easy hike with a spectacular view at the end, Mount Baker for several trails showing off fall foliage and mountain scenery, the Golden Gate Loop at Mount Rainier offers colorful meadows and stands of trees and Loowit Falls on Mt ST Helens is a great choice for a challenging but very rewarding full day hike. Tip: For a list of great hikes with the reward of craft beer at the end check out Beer Hiking Pacific Northwest. 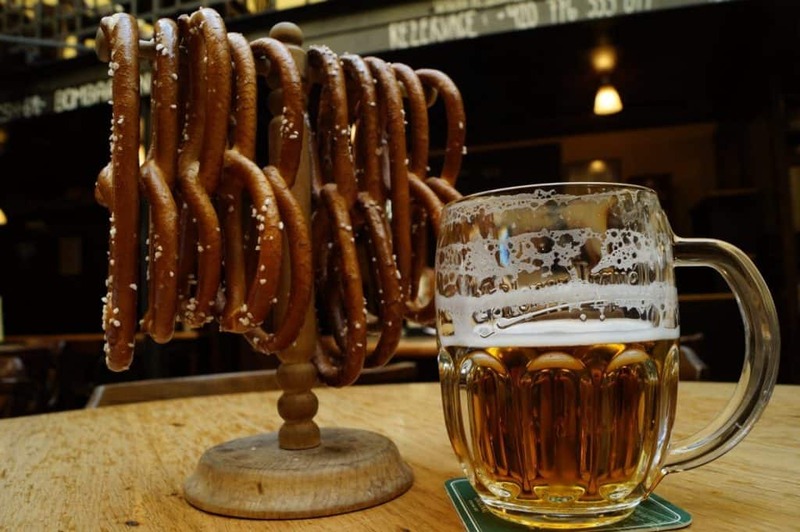 You don’t have to travel all the way to Germany to experience Oktoberfest. Probably the closest thing to an authentic Oktoberfest in Washington would be the one held in the Bavarian-esque town of Leavenworth. The festivities are held over three weekends in October and include music, entertainment, keg tapping, German food and of course Beer! Washington State Fair hosts the largest Munich-style Oktoberfest in Washington. Join thousands of other brew lovers at Oktoberfest Northwest for beer, brats, games and non-stop live entertainment the first weekend of October. There are also several smaller Oktoberfests held around Seattle, Spokane, Anacortes and Bellingham throughout September and October. Tip: Check out Funtober.com for a complete listing. Head to Walla Walla in Washington’s wine country for unique fall foliage that includes the surrounding vineyards and orchards. Sit and enjoy the scenery with a glass of award winning Walla Walla wine and feel the buzz of the harvest season. There are events almost every weekend from September to November including art tours, food truck nights, symphonys and stampedes. If you go in early November you’ll get to experience the Fall Release where wineries open their doors for tastings, dinners, special pours and entertainment. Closer to Seattle is the quaint town of Woodinville. Here you will find more than 100 wineries and tasting rooms to enjoy Washington wines. Woodinville is home to the grand and beautiful Chateau Ste Michelle which hosts Oktoberfest for Wine Lovers and many of the other wineries will have fall release events. Tip: Go to WallaWalla.org , WallaWallaWine.com and WoodinvilleWineCountry.com for listings of events. Fall in Washington is not complete without pumpkins, corn mazes and fright-fests. Snohomish County takes pumpkins seriously with more than 10 patches to explore. Stocker and Craven Farms offer up hours of fun with huge pumpkin patches and themed corn mazes, hayrides, games and entertainment. Bob’s Corn Maze and Pumpkin Farm is another popular spot. Many of the Snohomish mazes also have scary nightime options for older kids and adults. Take a look at ParentMap.com for a great list of pumpkin patches. The USA celebrates Halloween in a big way and Washington is no exception. Fright Fest is on at Wild Waves & Enchanted Village every Friday and Saturday in October. Enjoy haunted houses, a haunted trail and rides in the dark. The Cinema of Horrors in Kelso was voted by Scare Factor as the ‘second must see haunted house in Washington for 2018.” Plus, Seattle Haunts presents Georgetown Morgue in Seattle and Nightmare on 9 in Snohomish. Both are housed in old businesses with a morbid past which adds to the fear factor giving up a great night of frights! Tip: If you’re in need of some craft beer after the fear pop over to Two Beers Brewing Company or Seattle Cider after Georgetown Morgue or visit the beer garden at Thomas Family Farm following the Nightmare on 9 thrills. So as you can see, just because the kids are back in school and the days are getting shorter, doesn’t mean it;s time to stay home and binge-watch Netflix. Grab a jacket and get out to explore the beautiful and fun state of Washington!